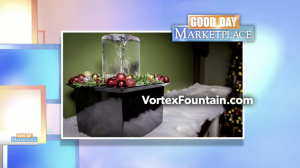 The Quox Creek Vortex Fountain was thrilled to make an appearance on FOX28’s “Good Day Marketplace” on December 12, 2017. 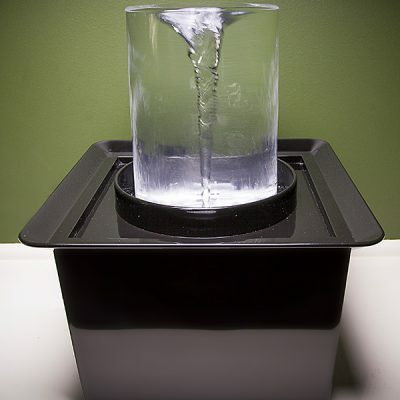 Marketplace host Shawn Ireland and Quox Creek’s Marshall McPeek talked about the origin of the Vortex Fountain and demonstrated how easy it is to customize and decorate the fountain for any holiday or season. 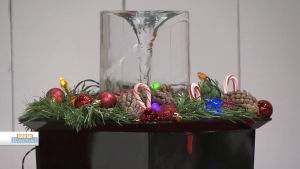 Viewers were invited to share their own holiday decorating ideas and tips on the program’s Facebook page. Marketplace viewers were even treated to a special coupon code just for the occasion. Video of the appearance is available on the Vortex Fountain facebook page. 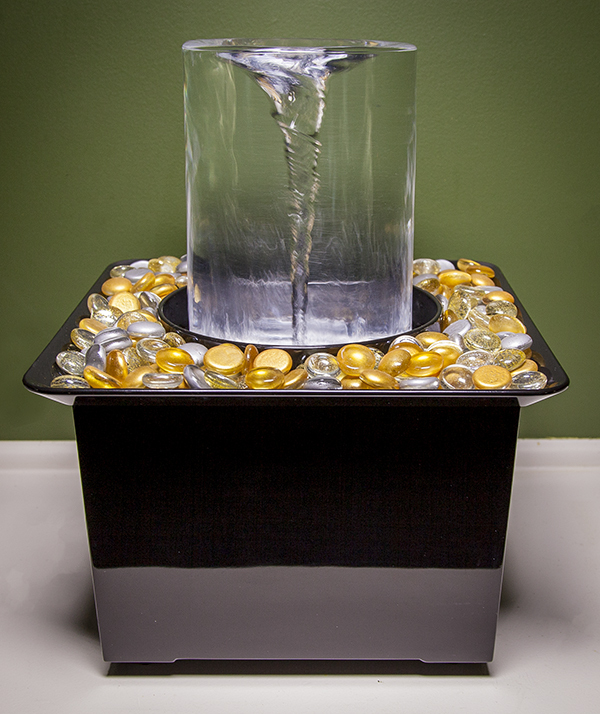 Quox Creek founder Marshall McPeek demonstrates how to decorate the Vortex Fountain on FOX28’s “Good Day Marketplace” with Shawn Ireland.